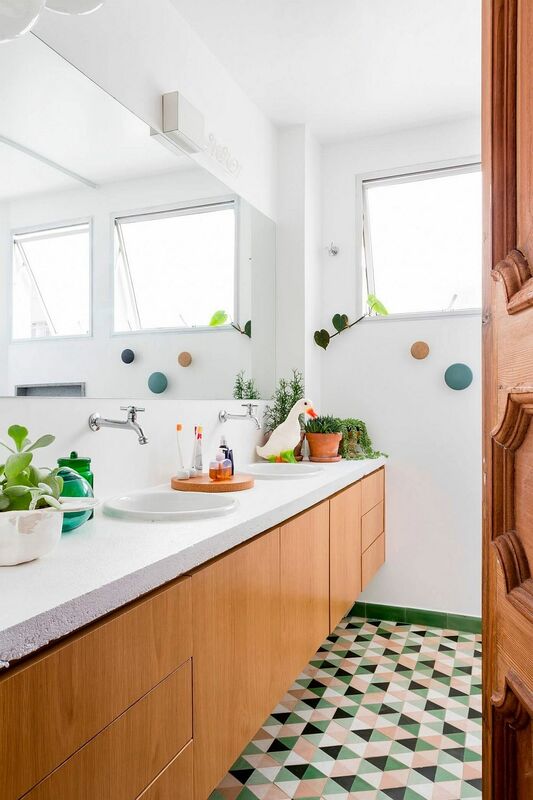 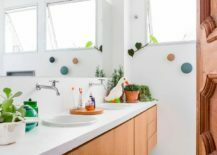 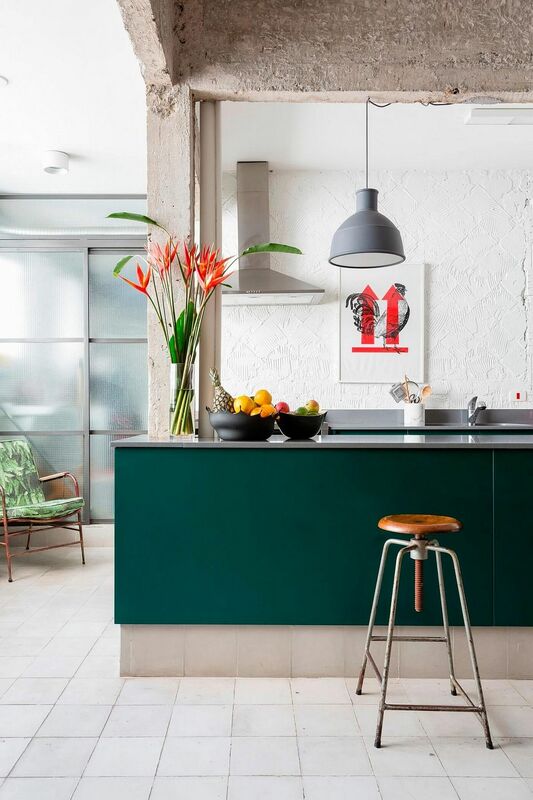 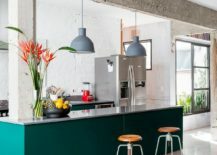 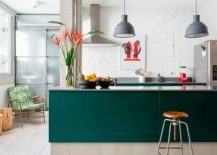 The use of bright pops of color, a healthy dose of natural greenery and a wide array of finishes can create a unique interior that might end up dividing opinions when it comes to aesthetics. 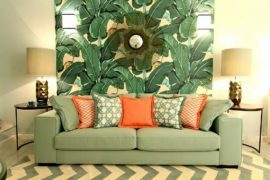 Some find it bold, cheerful, refreshing and enticing, while there could be others who feel that it is all a bit over the top. 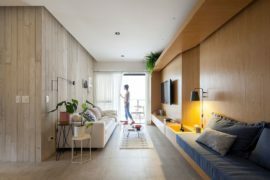 Irrespective of which side of that fence you sit on, you simply cannot ignore the magnetic aura of Apartment João designed by RSRG Arquitetos. 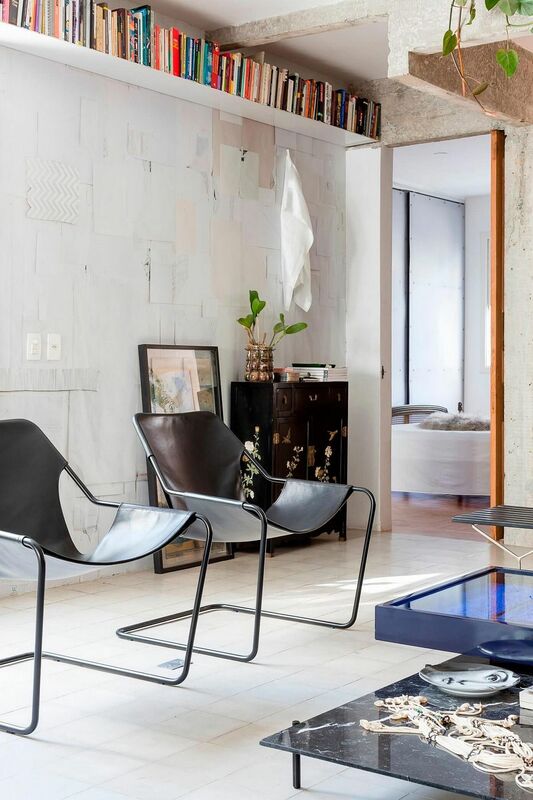 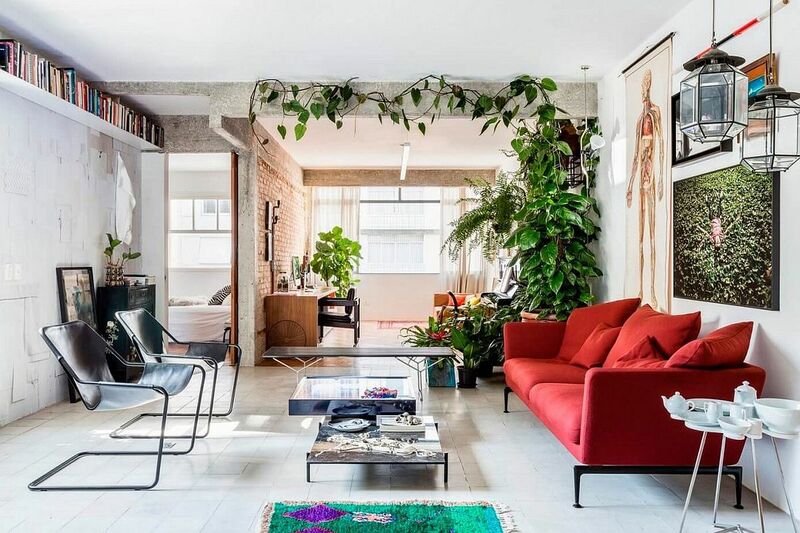 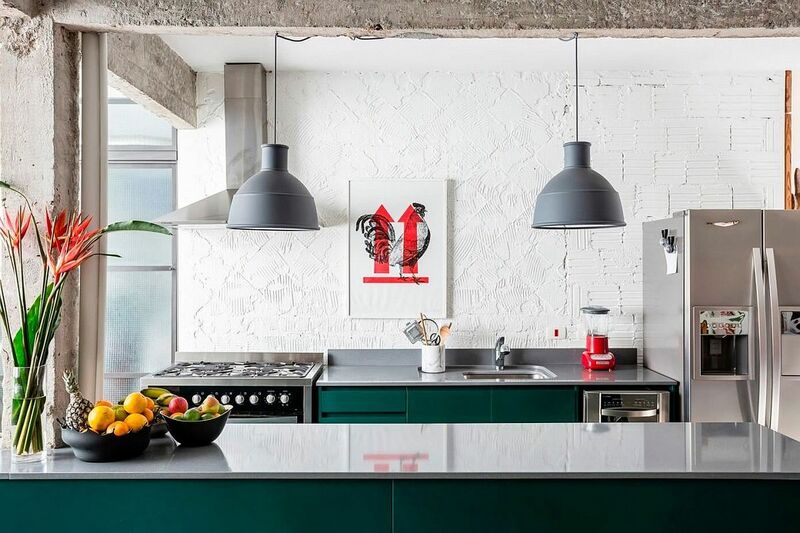 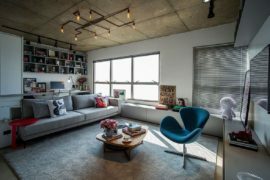 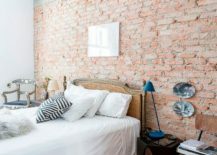 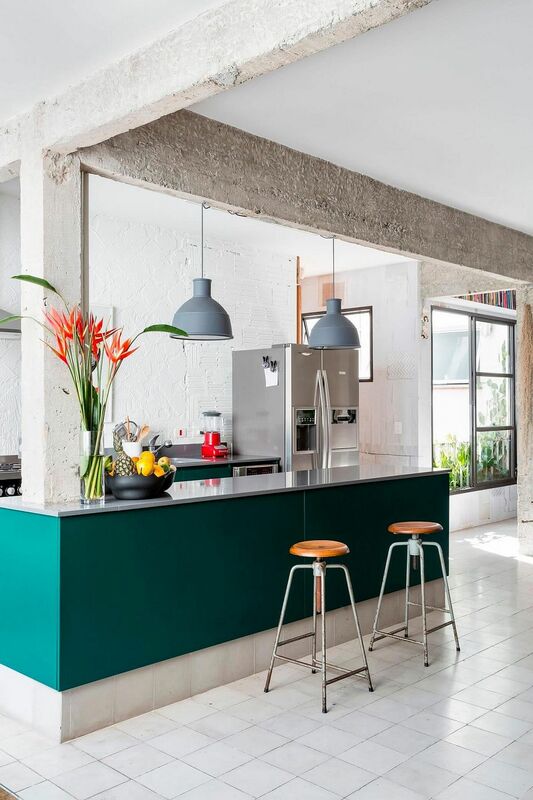 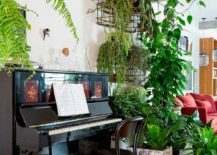 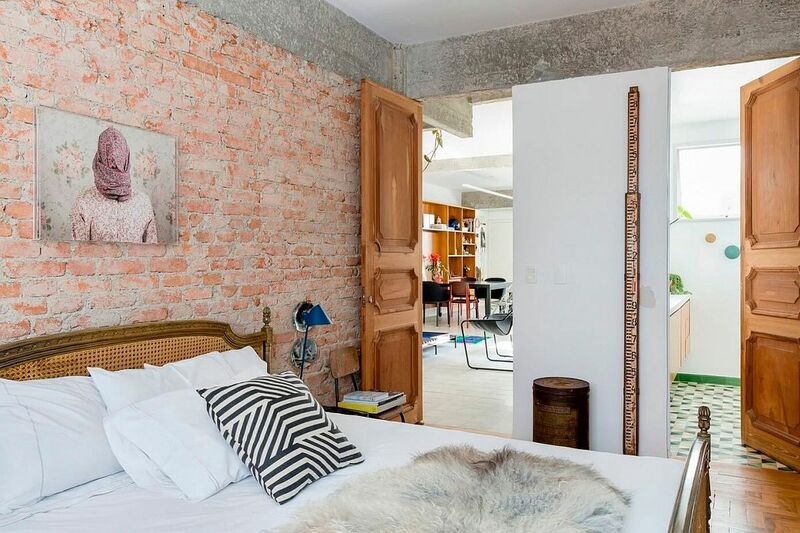 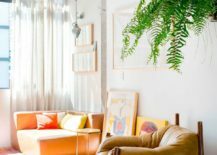 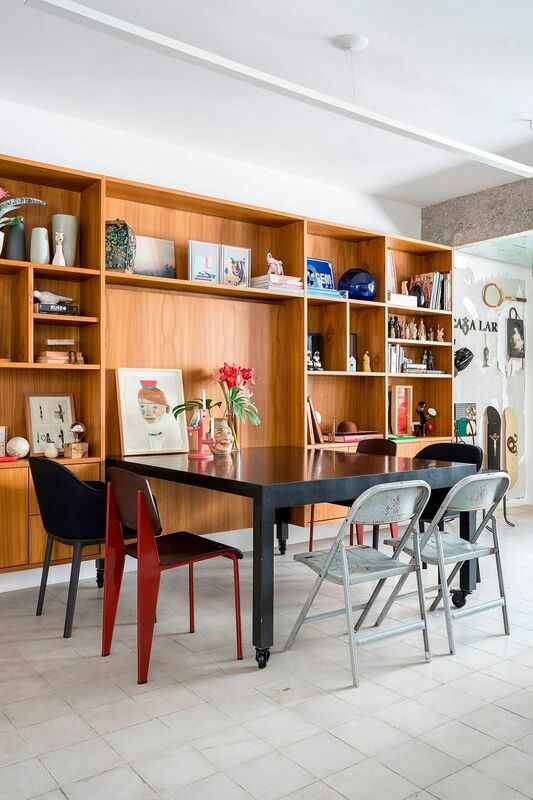 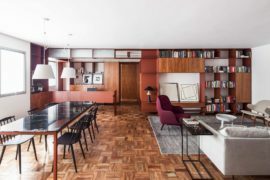 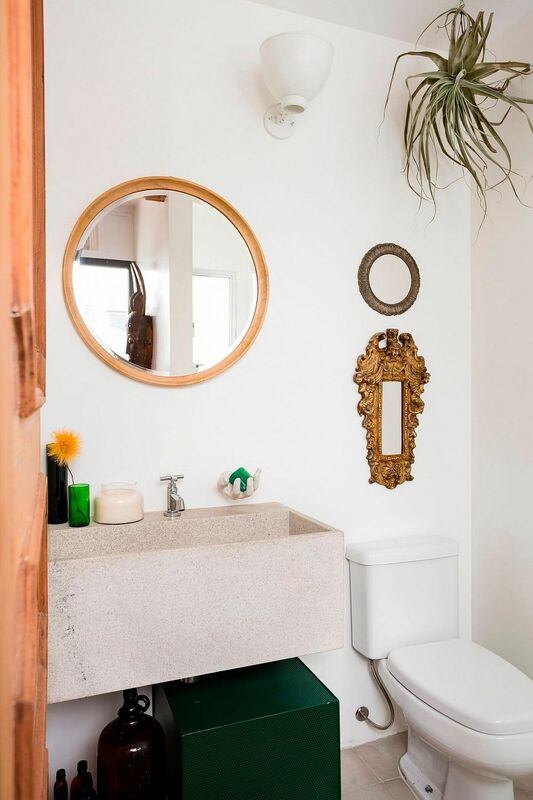 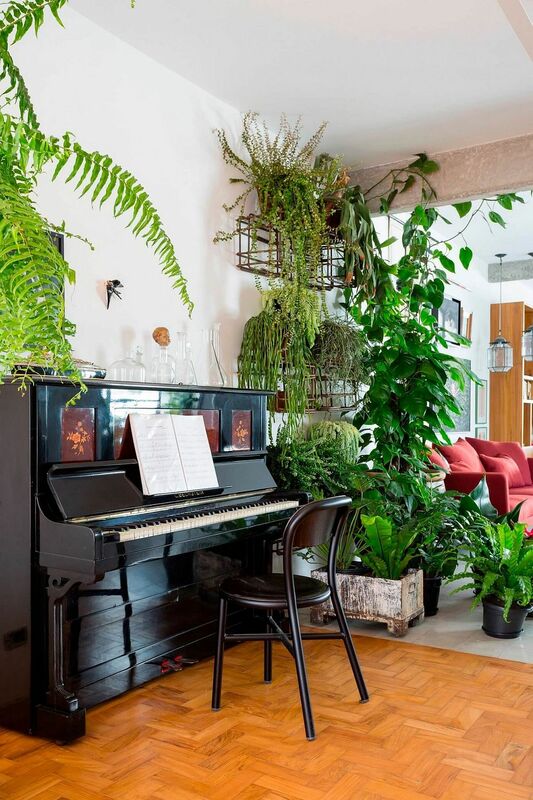 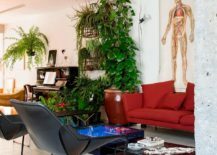 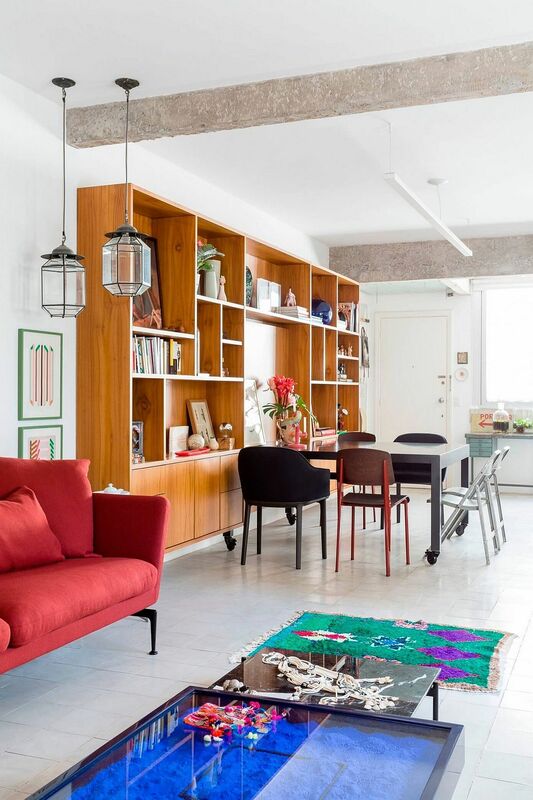 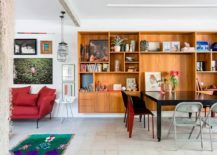 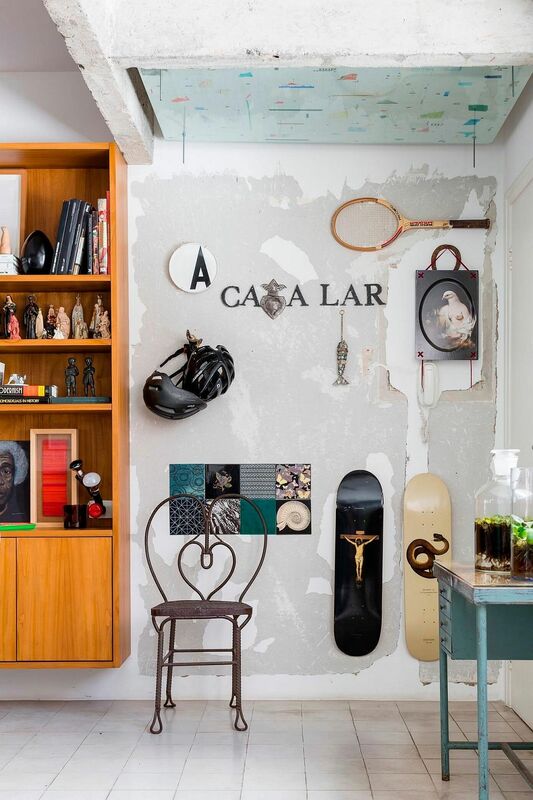 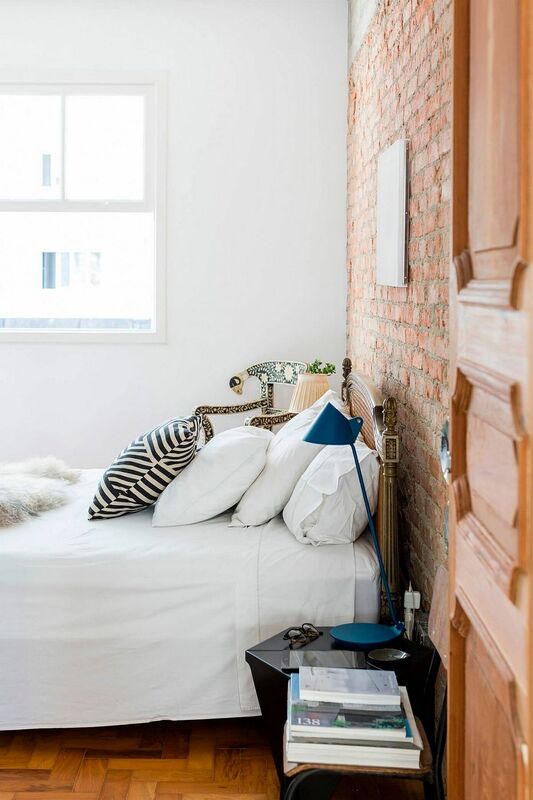 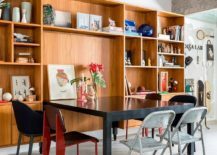 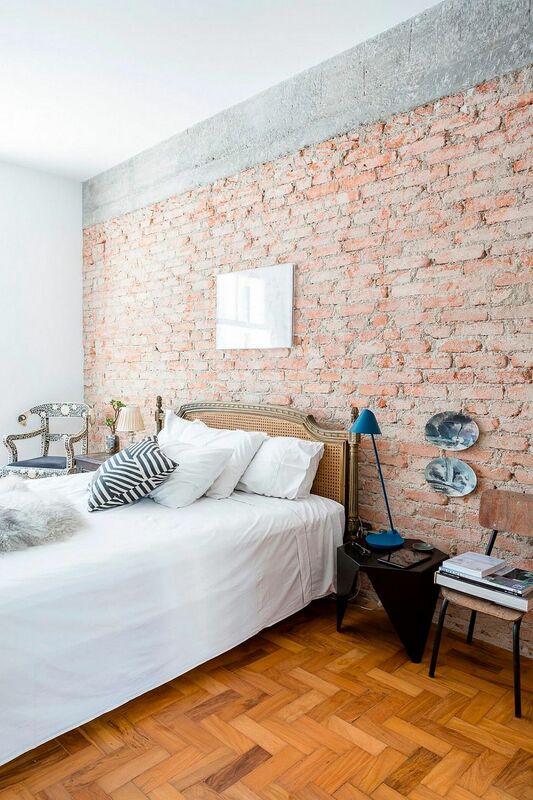 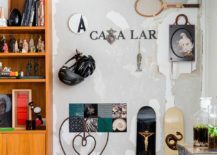 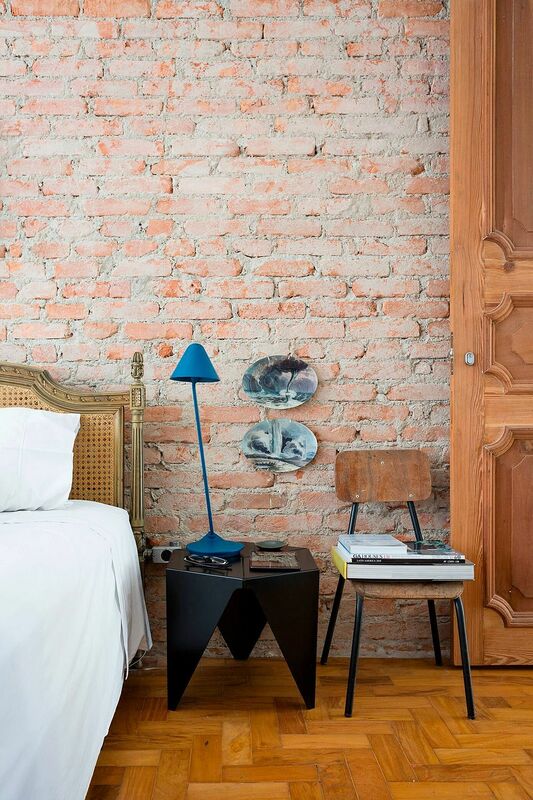 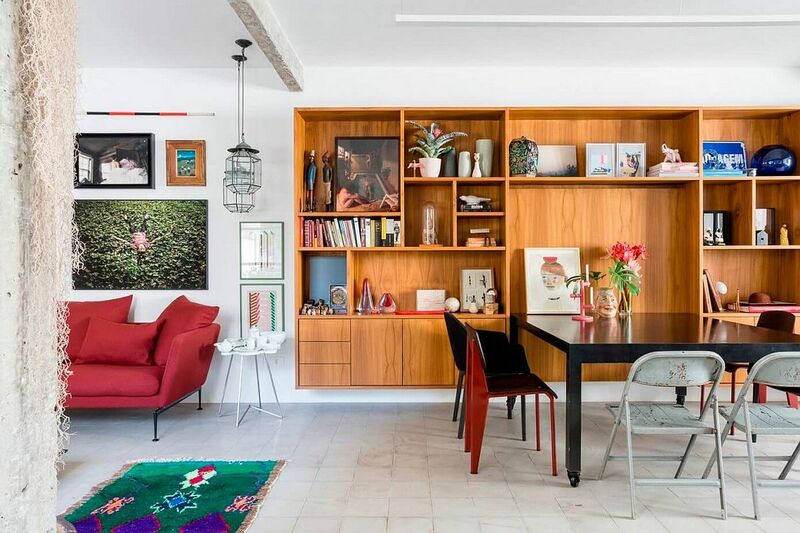 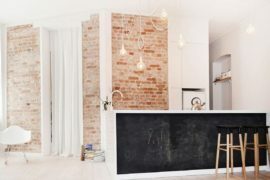 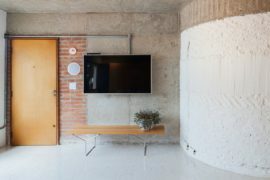 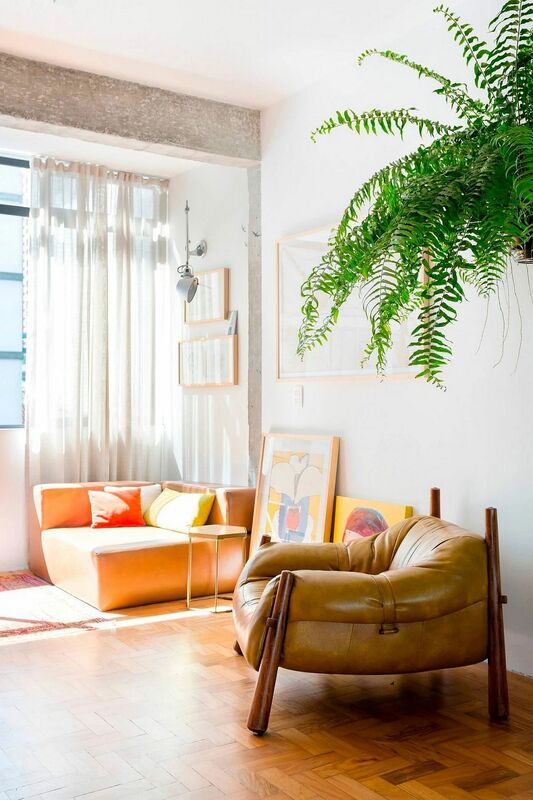 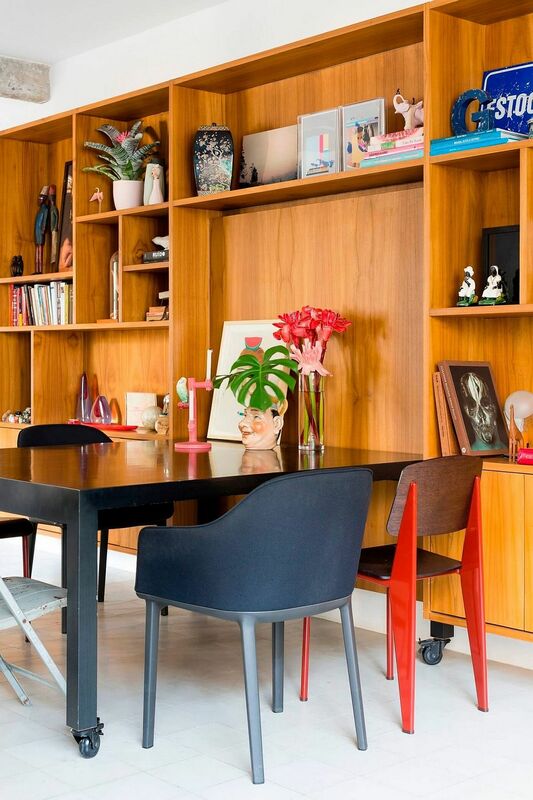 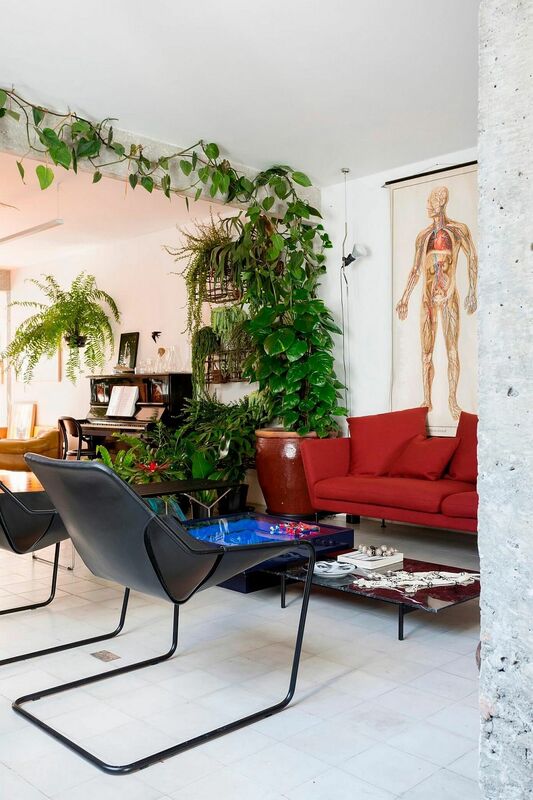 Nestled on João Moura Street, Sao Paulo, this beautiful apartment was renovated to create a distinct and urban setting that is full of character. 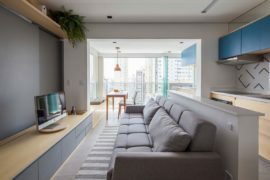 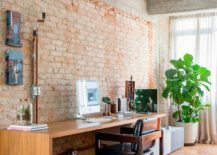 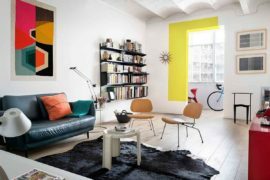 The entire apartment is divided into two parts, with the one large living area containing the sitting zone, home workspace, kitchen and dining area, while the other smaller section houses the bedroom and bathroom. 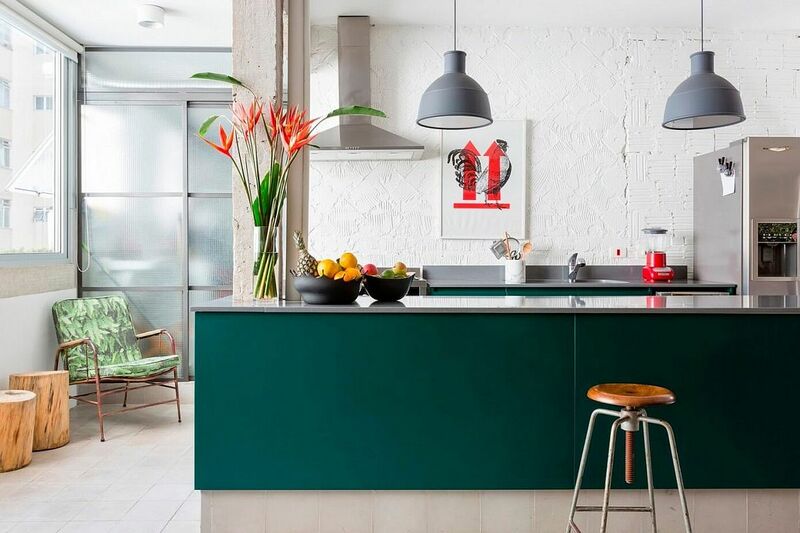 A bright couch in red sits at the heart of the living area with plenty of greenery all around it, while the kitchen with a bold island in teal adds even more brightness and color to the neutral interior. 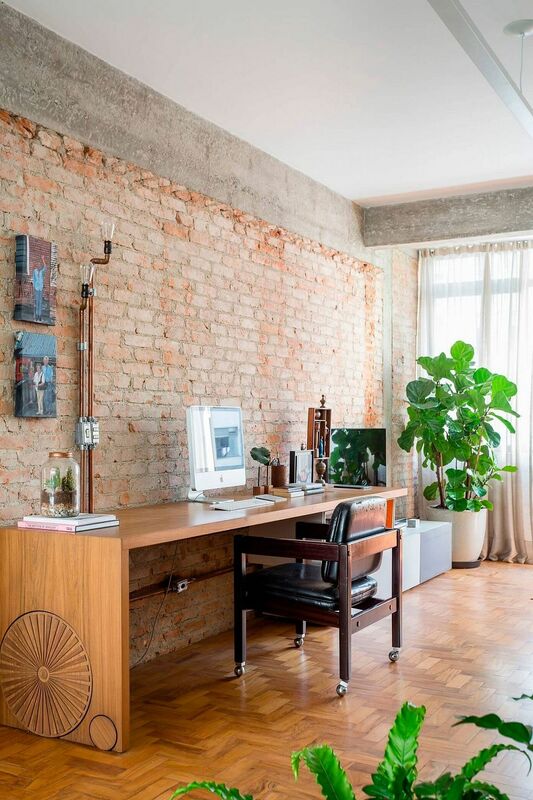 A stylish bookshelf in wood and a brick accent wall section usher in textural contrast, even as large windows bring in ample natural light.